NaturalBeauty: Foods for Easy Beauty Maintenance! Typically, people tend to focus their attention on how to make themselves beautiful on the outside by slabbing on makeup, doing their hair, painting themselves, whatever it takes, you know? They don't take into consideration all the effects that it is having on the health of their hair and skin as well as the food they are ingesting in order to maintain this health. I believe the most beautiful people are the happiest and healthiest. And what better way to change your lifestyle for the better, and get healthy hair, skin, and nails in the process, than eating better and just adding a few good habits into your daily routine? 1) Green tea - This drink contains antioxidants, is believed to reduce your risk of cancer, keeps you hydrated, is known to support weight loss by boosting your metabolism, and helps you combat aging. 2) Quinoa - Contains a ton of protein and has all of the nine essential amino acids our bodies need, and contains iron, fibre, magnesium, manganese and riboflavin. All of these benefits of quinoa make it one of the top miracle foods, especially for vegetarians or vegans that need that extra protein and iron. 3) Chia seeds - This miracle food is thought to be the weight loss dream. It helps you feel full for hours due to the fact that it forms a gel coat when exposed to water. It also has antioxidants, omega fatty acids, proteins, stabilizes blood sugar, provides protein and a ton of other benefits. Definitely a must have. 4) Greek Yogurt - Greek yogurt contains protein, calcium, it contains less lactose (which is helpful for people who are lactose intolerant), and it is delicious! This is a excellent food to have in your daily diet. 5) Black Beans - This food provides support to your digestive system, regulates blood sugar, maintains cardiovascular health, and are high in protein, antioxidants, folate and fiber. 6) Flax Seeds - This is thought to be the ultimate wrinkle fighter, due to the fact that it contains omega-3 fatty acids and is a key against inflammation within the body. It also contains a high amount of fiber. 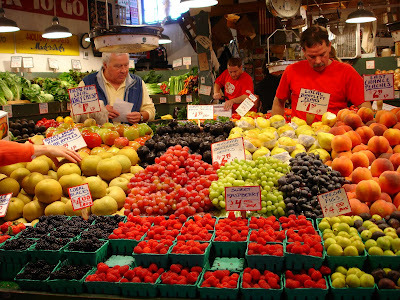 This miracle food will help reduce your risk of cancer, heart disease, asthma, and diabetes. 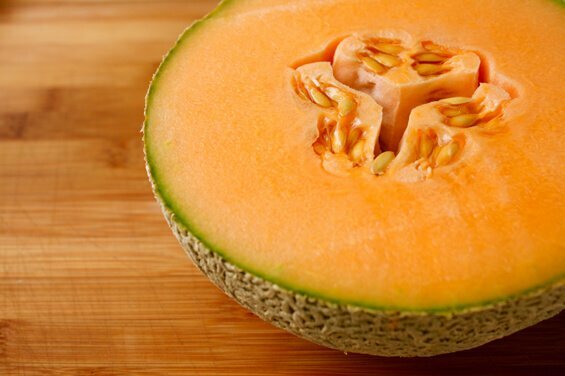 7) Cantaloupe - Cantaloupe contains a payload of Vitamin A, postassium, and vitamin C and makes it a wonderful source for maintenance of beautiful skin. 8) Kale - Kale contains antioxidants, as well as a packload of Vitamin K, A, C, and B6, magnesium, and calcium. And all with a low amount of calories. 9) Tomatoes - This miracle food contains folate, vitamin C, A, K, is low in calories, fat free, and also contain thiamin, niacin, vitamin B6, magnesium, phosphorus and copper, all are essential for good health and is contained in just this one food. On top of that, they are delicious! 10) Blueberries - Blueberries are rich in antioxidants, lower the risk for a large range of cancers, been proven to preserve vision, lowers the risk of Alzheimer's, and aids in weight loss. 11) Almonds - Almonds contain manganese, vitamin E, magnesium, tryptophan, copper, vitamin B2 and phosphorus, lowers cholesterol, and reduces your risk of heart disease. Almonds help you maintain nice skin due to its abundance of vitamin E.
12) Spinach - This food contains antioxidants, is anti-inflammatory, anti-cancer, contains vitamin C, vitamin A, vitamin E, beta-carotene, manganese, zinc and selenium, effectively lowers blood pressure, is good for immunity and vision, and promotes healthy skin. Hahaha Thank you =D Health and well-being is true beauty.